Ebru Yetiskin is an Istanbul based curator and researcher, who is working on the interaction of science, technology and art. She studied Radio-TV-Cinema as a bachelor degree in Istanbul University. Then she attended the master program on Science, Technology and Society in Istanbul Technical University and Université Louis Pasteur, and started working on the impact of uncertainty of science in the policy making process. She completed the PhD program in sociology in Mimar Sinan Fine Arts University in 2008. She conducted the preliminary phase of her thesis research in Centre Sociologie de L’Innovation in Ecole Nationale Supérieure des Mines de Paris as a visiting scholar with Bruno Latour and Antoine Hennion. 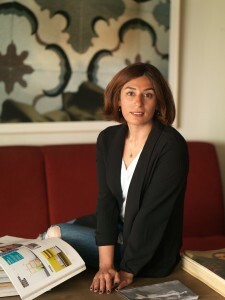 Since 12 years, she has been working as a researcher in Istanbul Technical University and teaching sociology, contemporary art and media related courses. She also gave classes in New York University and Inholland University as a guest teaching staff. She curated new media art related exhibitions entitled, Cacophony (2013), Code Unknown (2014) and Waves (2015) in Istanbul. This year, she also directed and curated Plugin New Media Section of Contemporary Istanbul.